College-bound students and their families are invited to the "Back to School Event" virtual college fair on August 25, 2016. During the event, students and parents can ask questions via chat, directly to college students and admissions counselors at 80+ colleges and universities around the country. 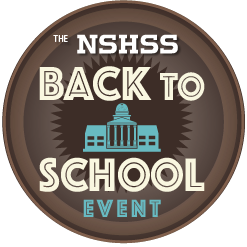 The NSHSS Back to School Event is a powerful way for students to explore their higher education pursuits by live chatting with many top colleges and universities across the country. CollegeWeekLive, the leading website where students and colleges connect online, is proud to partner with the National Society of High School Scholars (NSHSS) in co-hosting the "Back to School Event," a virtual college fair on Thursday, August 25, 2016. This online event presents a unique opportunity for students and their families to chat live with admissions counselors from colleges and universities around the country. During the event, students can ask direct questions about topics such as degree programs and career paths, scholarships, and campus life to help them in their college search. Many participating schools also have chats hosted by some of their current students, so that high school students can hear directly about college students’ experiences. In addition, education and financial aid experts will be on hand throughout the event to help students and their parents navigate the complexities of college admissions. Participating students can also register to win a $1,000 scholarship. For more information about participating in the Back to School virtual college fair, please contact colleges(at)collegeweeklive(dot)com or 800-828-8222.